Real Madrid attacker Lucas Vasquez wants a move away from the Santiago Bernabeu and Florentino Perez is happy to sanction a deal. 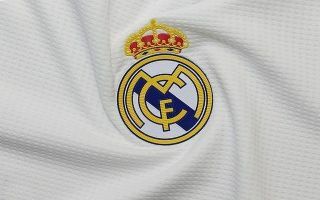 The right-winger has featured prominently for Los Blancos at the start of the new season, but he has not managed to contribute a single goal or assist in 12 appearances across all competitions. Madrid have struggled in recent weeks and a 5-1 defeat at the Camp Nou against Barcelona last Sunday condemned manager Julen Lopetegui to an early departure, which has left Santiago Solari in charge of the team on an interim basis. Vasquez has been unable to hold down a place as a regular starter for Madrid during his four-year spell with the first team, having first rose through the ranks at youth level with the club. In 149 appearances the Spaniard has scored just 16 goals and doesn’t affect games in a decisive manner, which is unlikely to change whoever comes in to take charge at the Bernabeu permanently. According to Don Balon, Vasquez has had enough and wants to pursue regular playing time elsewhere, with AS Roma, AC Milan, Arsenal and Chelsea all reportedly interested in securing his services in 2019. Perez is prepared to let the disgruntled 27-year-old leave for around €35 million, as Madrid look to ring the changes in the next transfer window as well as raise funds for a summer pursuit of Neymar from Paris Saint Germain, as per Don Balon. Arsenal and Chelsea fans will surely be keeping a close eye on this story as it develops in the new year, as both clubs fight for a spot in the Premier League’s top four.